The structure of the interstellar medium (ISM), the life cycle of interstellar clouds, and their relationship with star formation are processes crucial to deciphering the internal evolution of galaxies. Many important key gas tracers are not observable from the ground, but are needed to understand how interstellar clouds form and dissipate and how the Galaxy is structured. STO, the Stratospheric Terahertz Observatory, is a Long Duration Balloon (LDB) experiment designed to address a key problem in modern astrophysics: understanding the Life Cycle of the Interstellar Medium. Determine the life cycle of Galactic interstellar gas. Study the creation and disruption of star-forming clouds in the Galaxy. Determine the parameters that affect the star formation rate in the galaxy. [C II] and [N II] line emission will provide information on excitation conditions and kinematics of the observed regions. STO will provide 3-dimensional maps of the structure, dynamics, and thermodynamics of the Milky Way's interstellar medium and its star formation rate. To achieve the angular resolution requirement STO, a balloon-borne instrument, will have an 80cm aperture. In order to discriminate clouds in a given beam and determine their distance from Galactic rotation, STO will utilize heterodyne receiver systems with resolving powers, R > 106. The science flight receiver will consist of eight, phonon-cooled HEB mixers; four optimized for the [C II] line and four for the [N II] line. The STO spectrometer will have sufficient bandwidth to detect all clouds participating in Galactic rotation in each of the 8 pixels. STO is capable of detecting every giant molecular cloud in the Galaxy, every HII region of significance, and every diffuse HI cloud with AV > 0.3. [CII] and [NII] emsission is not observable from the ground and requires to leave the opaque atmosphere behind. Stratospheric balloon experiments are much less expensive compared to satellite experiments and allow for hardware retrieval and upgrades. 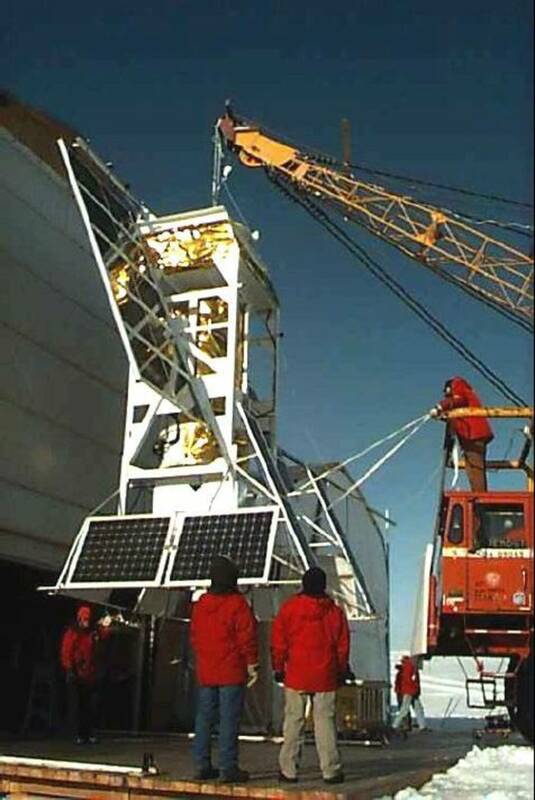 LDB experiments require a stable and known wind pattern at high altitudes. 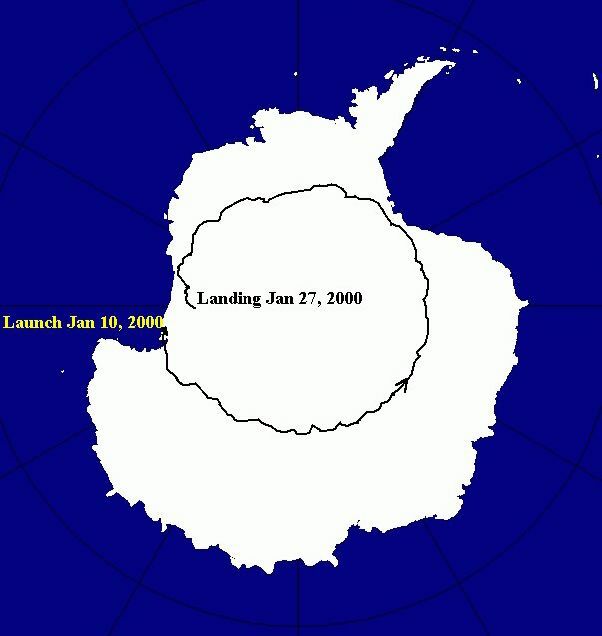 Launched from McMurdo Station, Antarctica, long duration balloons fly at 35 km altitude for two weeks before a boomerang return. STO is scheduled to fly in December 2010 after a 1 day North American test flight in September 2009. After a successful flight, STO can be recovered, refurbished with new receivers and flown again. Four such flights are planned. Partners on the project include the University of Arizona, John Hopkins Applied Physics Lab, JPL, Caltech, the University of Maryland, Oberlin University, the SETI institute, and the University of Cologne. [C II] emission at 158 µm is one of the strongest emission lines that can be used to probe the ionized and neutral components of the ISM. In contrary the [N II] emission is only tracing the ionized component of the ISM and thus can be used to disentangle what fraction of the [C II] is coming from the both components. The only large scale survey of both lines was done by COBE with a angular resolution of only 7 degree. 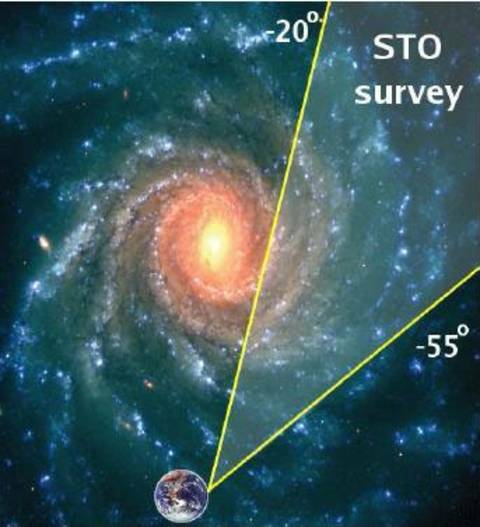 In its first long flight, STO will measure 40 square degree of the 4th Galactic quadrant with an angular resolution of 1 arcminute and a resolving power of 1 million! STO will resolve spatially and spectrally all interstellar components of [C II] and [N II] emission.